If you’re on the hunt for some unique baby shower themes for boys, this list is for you! It’s a boy! Is your sister, daughter, close relative, or friend having a baby boy? Then it’s time to throw them an unforgettable baby shower! If you want to throw a baby shower to remember, you need to plan ahead and start looking at ideas for awesome boy baby shower themes. After all, this exciting time deserves a celebration that the parents would look back on with fondness. 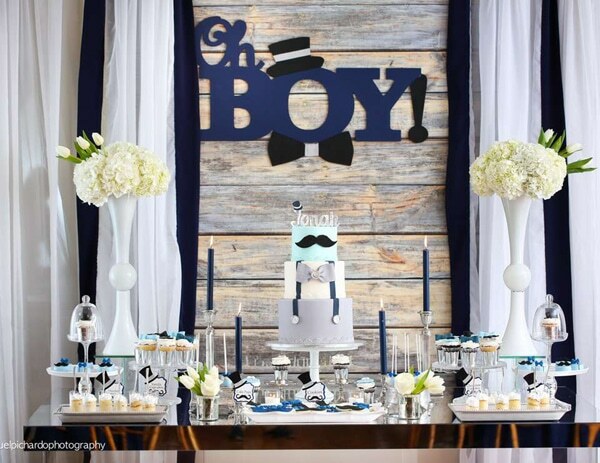 There are so many amazing baby shower themes for boys out there that it can be difficult to pick just one. 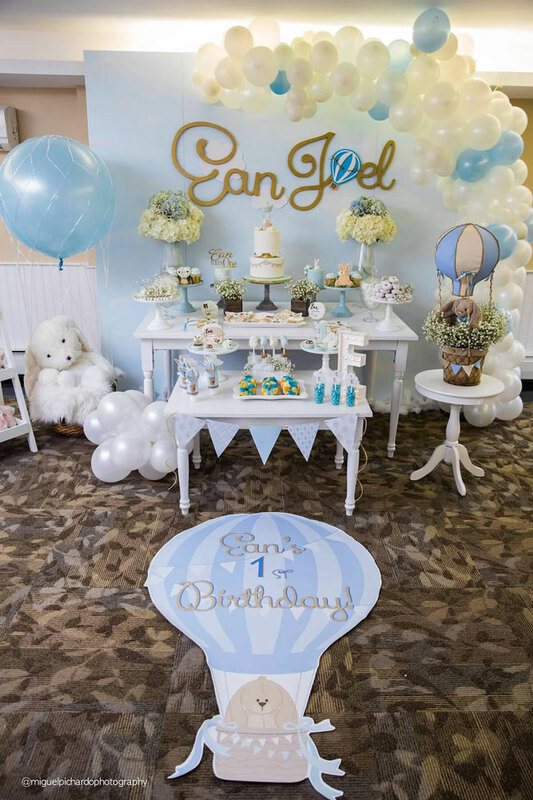 From jungle and woodland themes to sports and cartoon character themes, we’ve compiled a list of the most incredible boy baby shower theme ideas. Check them out! 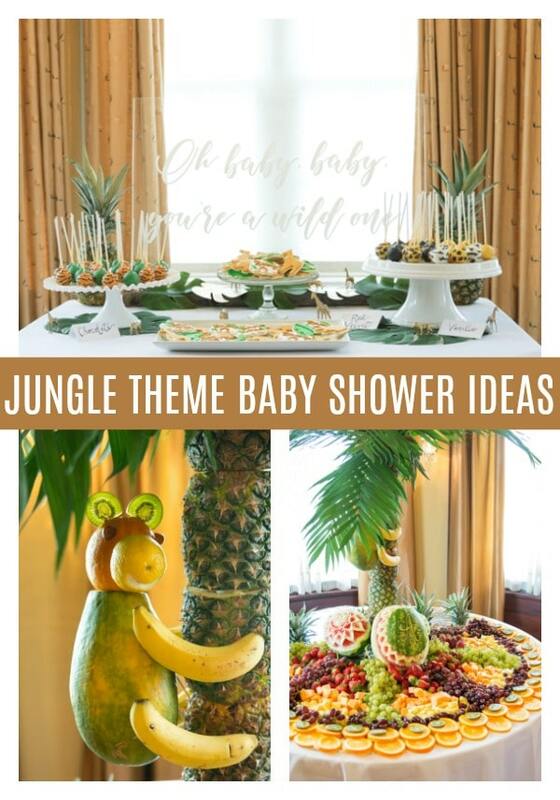 Awesome Baby Shower Theme #1: How creative is this Jungle Theme baby shower? Yellow and green hues dominate this fun jungle themed baby shower with golden curtains and nice wooden floors combining to form the perfect setting. What really takes the cake are the amazingly adorable jungle animals made from various kinds of fruit! From fruit birds to fruit monkeys, the edible decorations in this jungle themed baby shower are really in a league of its own. Awesome Baby Shower Theme #2: Who says you need to be royalty to throw a Royal Prince themed baby shower? 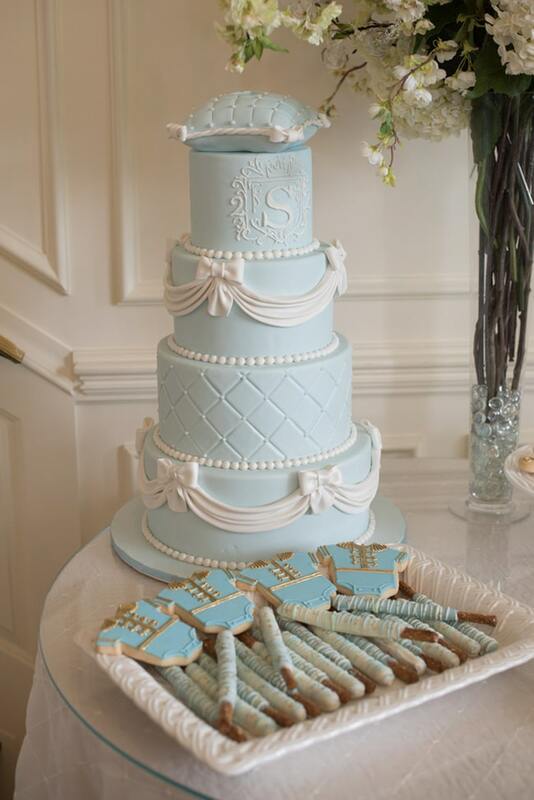 The pale blue and gold colors of the food and decorations make this gorgeous baby shower truly fit for a prince! From the towering cake with a plush pillow cake topper to the little royal prince sugar cookie onesies, this party has it all! Everyone at this baby shower definitely received the royal treatment. Awesome Baby Shower Theme #3: Want something a little more whimsical? How about this Woodland Theme baby shower? With stripes and other geometric patterns, this gives a modern take to the usual woodland theme, but the beautiful naked cake and lush wreath still give it that rustic feel. Also, how cute are those little hanging onesies?! What a great backdrop idea to your cake table. 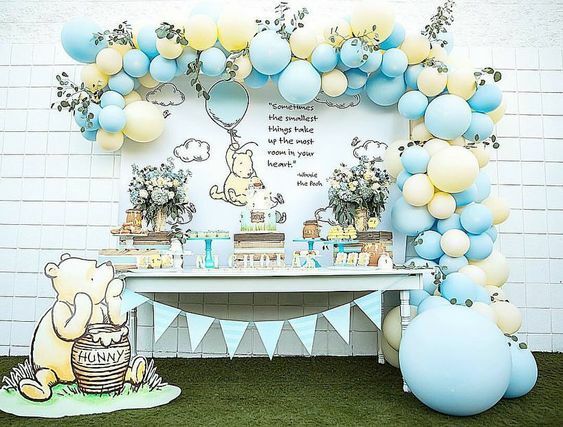 Awesome Baby Shower Theme #4: If the parents-to-be adore Winnie the Pooh, then they are absolutely going to love this adorable blue and yellow Winnie the Pooh baby shower theme. The beautiful table setup and balloon backdrop really bring the classic cartoon character to life! 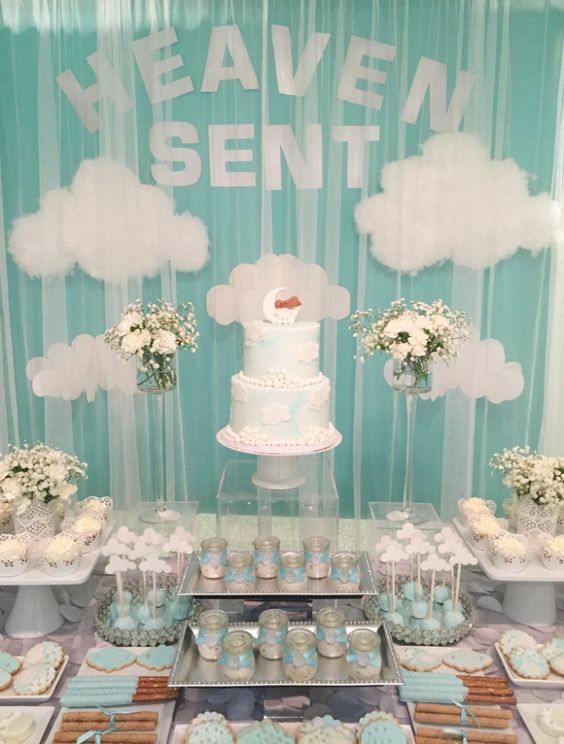 Awesome Baby Shower Theme #5: This Heaven Sent baby shower looks absolutely divine! The beautiful pale blue and white motif and the sweet flower decorations look very adorable and the fluffy clouds on the backdrop and the beautiful cloud decorations on the cake and other sweet treats are perfect for any little one! 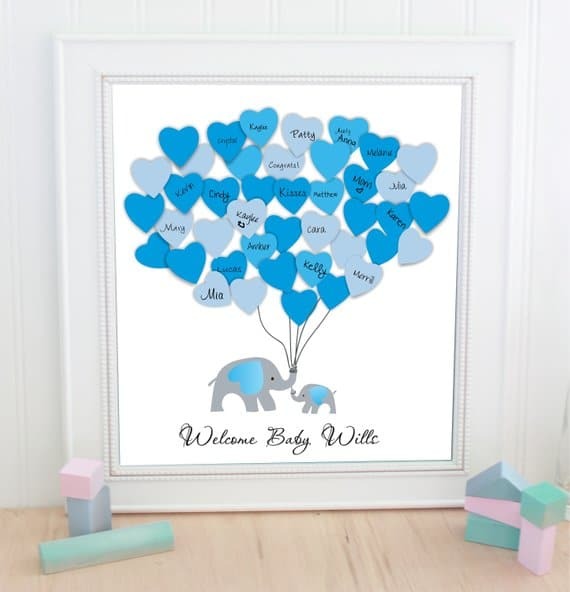 Awesome Baby Shower Theme #6: Who doesn’t love elephants? An Elephant themed baby shower is perfect for anyone who adores these gentle giants. How cute is this mommy and baby elephant guest book?! It’s a really unique way to remember who shared this joyous occasion with you. Awesome Baby Shower Theme #7: Boy oh boy, how awesome is that Lumberjack “cake”? Guess what? It’s a bunch of diapers! 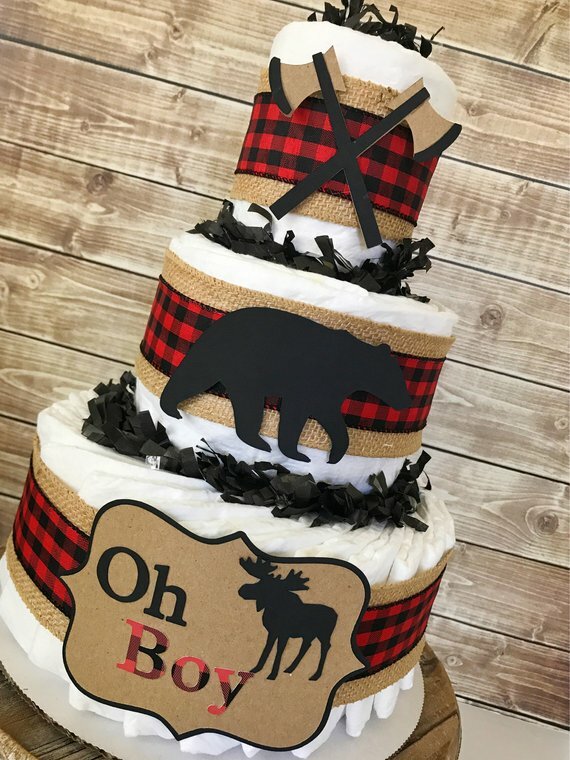 This beautifully designed (and practical) checkered buffalo and bear themed diaper cake would be the perfect centerpiece for a lumberjack themed baby shower. 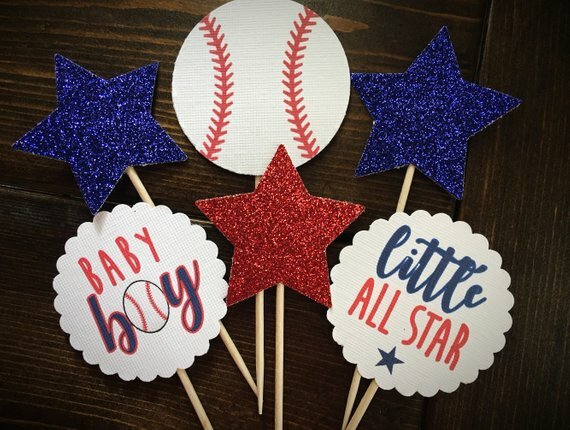 Awesome Baby Shower Theme #8: A Baseball Little Slugger Theme is a great way to welcome a little all star into the world! This cute set of six cupcake toppers would fit in perfectly with a baseball themed celebration. If you’re feeling crafty, you can even make them yourself! 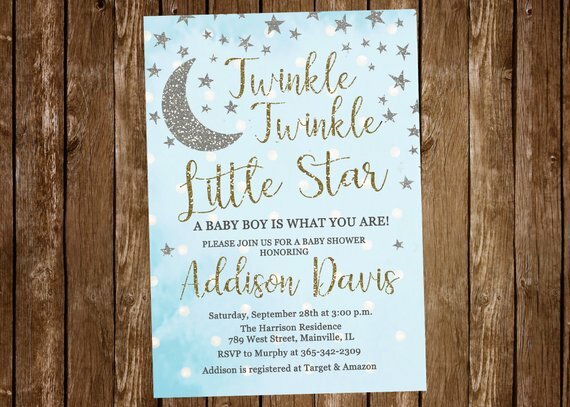 Awesome Baby Shower Theme #9: You can’t go wrong with a classic Twinkle Twinkle Little Star theme for a little boy’s baby shower! This sparkly invitation is a great prelude to what seems like an awesome baby shower. Awesome Baby Shower Theme #10: This nautical themed baby shower has got a big special surprise: Whales! Whale cake and cupcake toppers make this nautical celebration so much more adorable! Awesome Baby Shower Theme #11: This one is straight up Nautical! This is for a first birthday party, but you can totally use a similar theme for a baby shower fit for a little sailor. 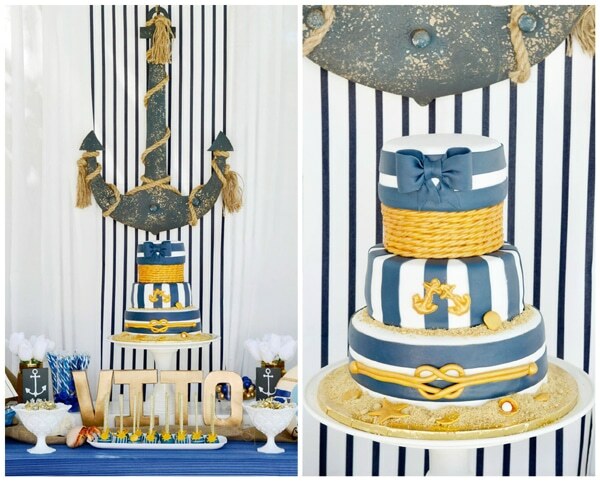 The beautiful blue and gold cake and the giant anchor decor really grab your attention. Awesome Baby Shower Theme #12: This Hot Air Balloon birthday theme truly feels light and airy! It’s going to look just as good for a boy’s baby shower. Awesome Baby Shower Theme #13: If you’re all about modern designs and decorations, how about having a Geometric baby shower theme? The blue geometric backdrop will make for photos that pop! Your pictures for your photo album will look smashing. 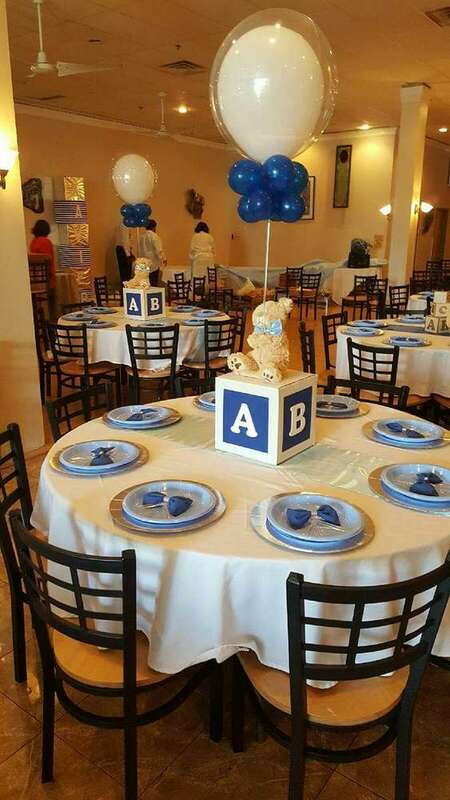 Awesome Baby Shower Theme #14: The color blue is such a big hit when it comes to baby shower themes for boys! This Bears, Blocks and Bow Ties themed party incorporates a deeper shade of blue. Those alphabet blocks with a cuddly toy and balloons are excellent centerpieces for the party tables! Awesome Baby Shower Theme #15: Want something cute? How about this Turquoise Owl Theme? 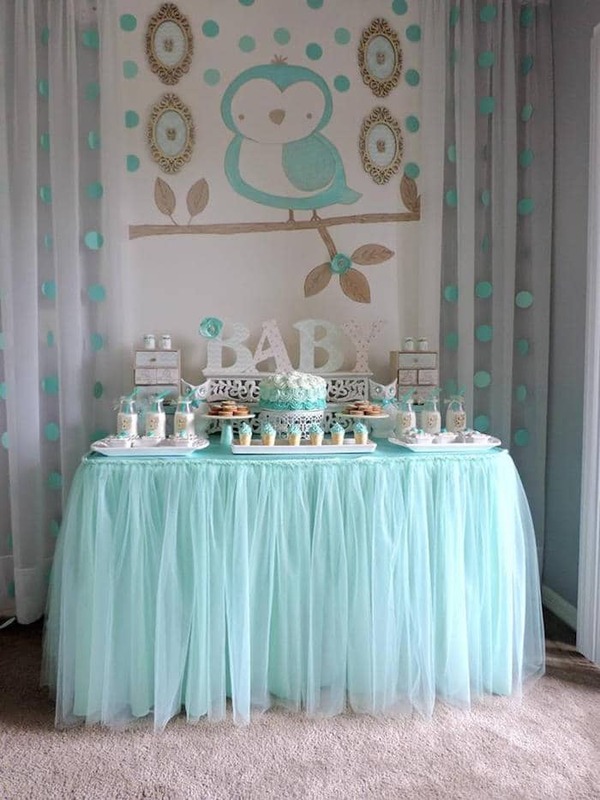 The soft pastels used for this motif evokes a light and airy feel perfect for a chill baby shower. 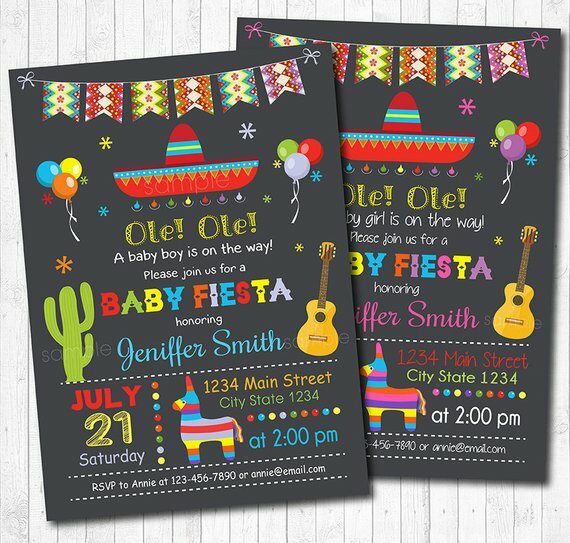 Awesome Baby Shower Theme #16: This bold and colorful Fiesta Theme is perfect to celebrate the arrival of a baby boy! Pinatas, balloons, and more colorful decorations are going to make this baby shower super fun. Ole! Ole! Ole! 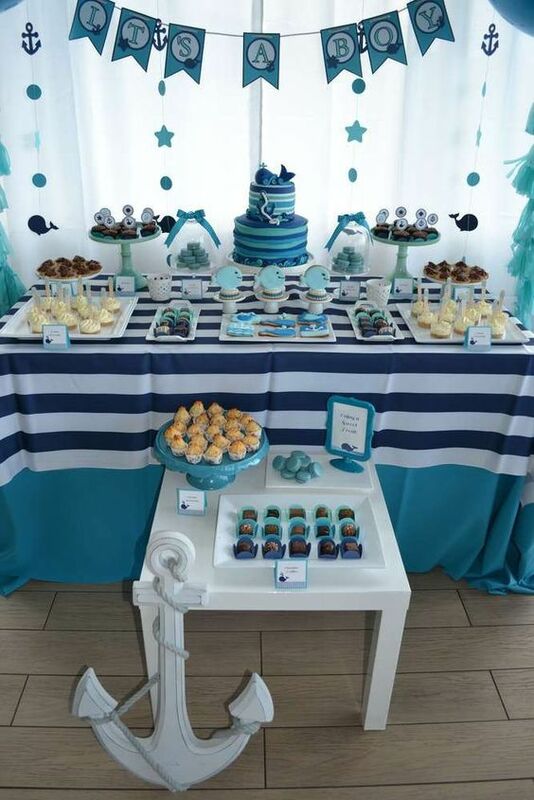 Awesome Baby Shower Theme #16: Here’s a cute take on your typical nautical theme. 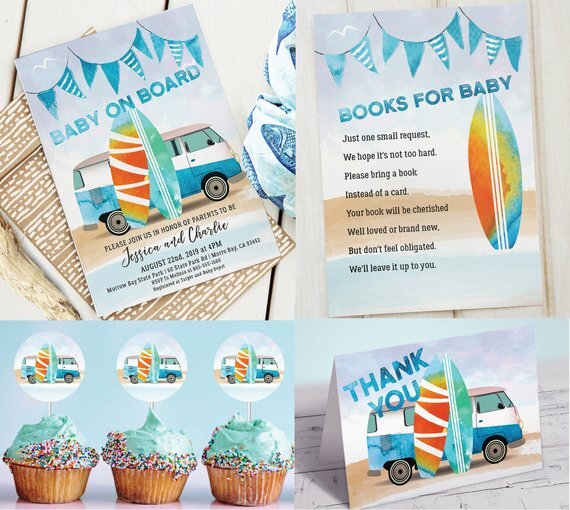 If you love surf and sand, this Baby on Board Surfer Theme is going to be perfect! 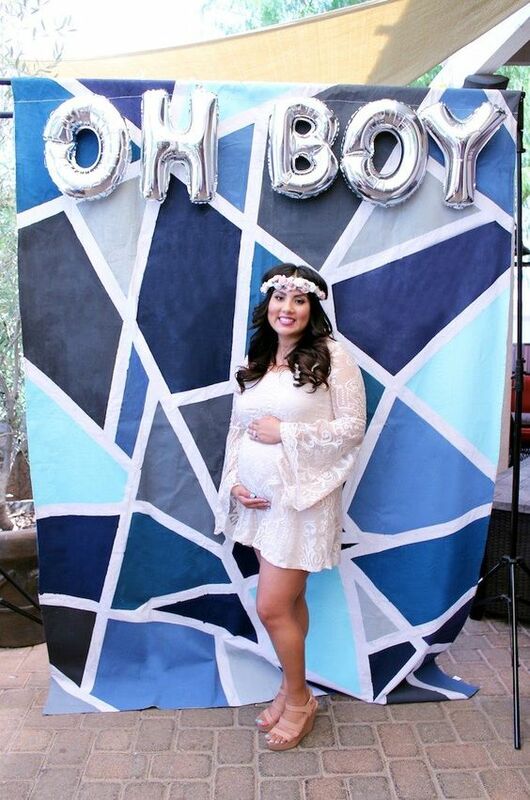 Awesome Baby Shower Theme #17: How adorable is this Oh Boy! Little Man Theme for a boy’s baby shower! The cute mustache with little bow tie and suspenders make for such a cute cake. The Oh Boy! backdrop also looks great behind the cake table! 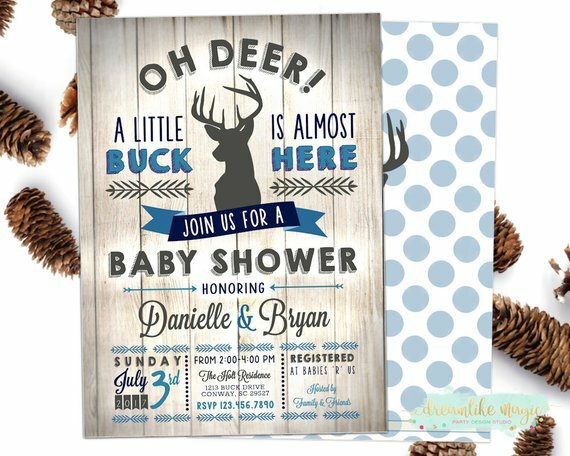 Awesome Baby Shower Theme #18: If you’re fond of woodland creatures, how about a Little Buck Deer Theme for the baby shower? This lovely invitation is a great way to invite people to join in celebrating your little buck on the way. 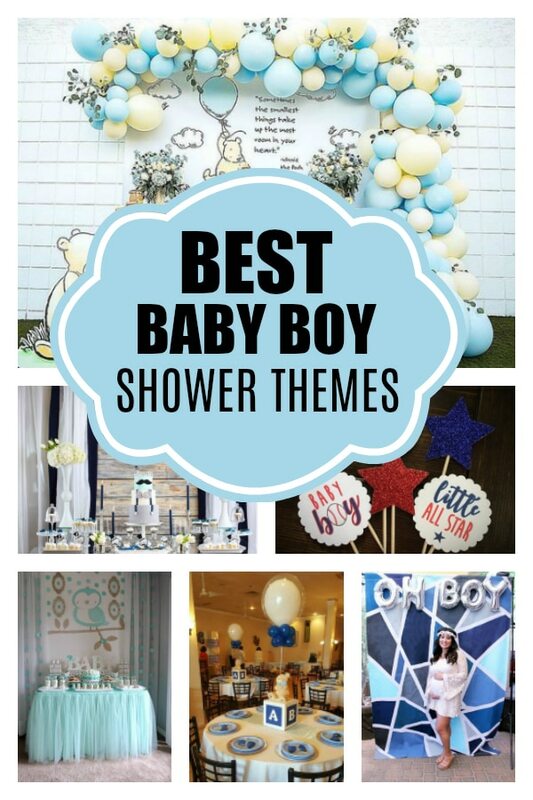 Which of these Awesome Boy Baby Shower Themes are your favorite? Let us know in the comments below!